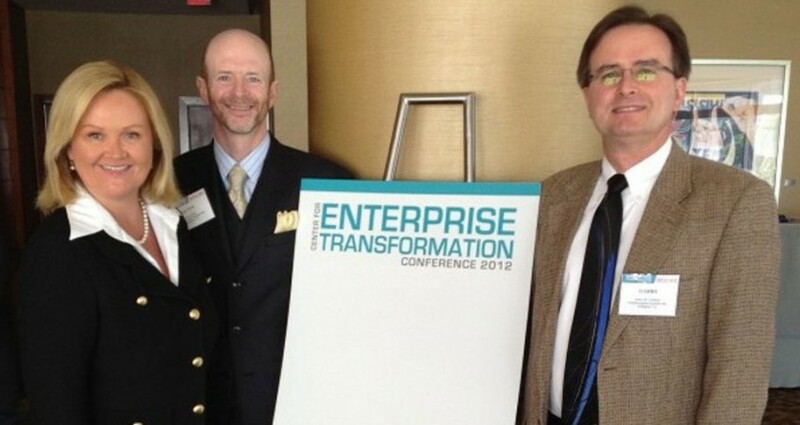 TSI’s Altyn Clark delivers address at Enterprise Transformation Conference - Transformation Systems, Inc.
TSI Chief Solutions Officer, Dr. Altyn Clark, delivered an address at the Center for Enterprise Transformation Conference in Atlanta, GA. Dr. Clark encouraged the assembly of industrial engineers to become more conscious of mental stances.“I contend that all the results you are currently producing are a function of your mental stances. I have adopted eight positive mental stances that have changed my life and caused my success. Over 80% of my enterprise transformation consulting work with client leaders is about adopting these mental stances, not about changing mechanisms” Dr. Clark advised. Conference attendees were led through eight exercises proven to improve enterprise health. The exercises guided them to clarify intentions, create results, hold themselves accountable, make the choice to connect, and to tell their enterprise vision story with conviction. For more information about Dr. Clark and TSI’s leadership.